I used to be a voracious magazine reader. However, since I started working in magazine publishing eons ago, reading magazines has ceased to be the pure pleasure it once was. I would start out opening one for the sheer fun of it but even before the halfway point, I would be thinking of story ideas, which layouts worked and which didn’t, and of course, agonizing over the articles. The last part was envy mostly — why I can’t write the way the writers in these magazines wrote. And so, ironically, while I was putting together my own publications, I was reading fewer and fewer of them. I still browse through a lot, but they were mostly for professional reasons, not for the joy of actually having a new issue of a favorite magazine in hand. Until recently, that is; reading them is fun once again. Maybe because my work, though still in publishing, is about one step removed from the glossies I used to work in before. I have come to accept though that part of me will always view them as work; I go through them with half a professional eye open. Occupational hazard I guess. 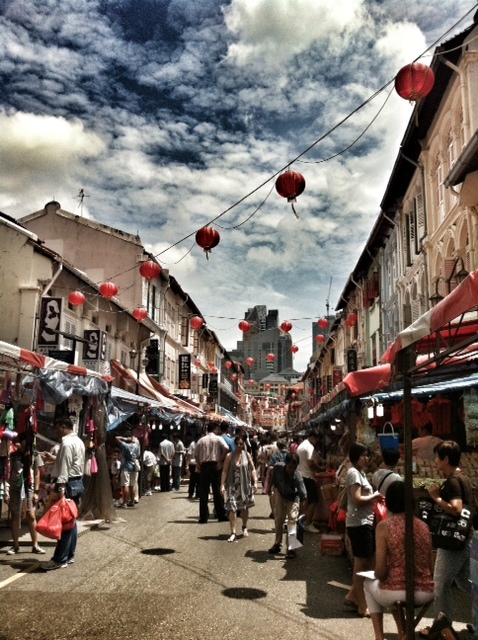 Anyway, today, there’s no work as it is Hari Raya Haji here in Singapore. So I’m spending the day puttering about the house and reading the four magazines that have always been on my reading list. (Though I don’t buy as many issues as before because they take up too much space!) 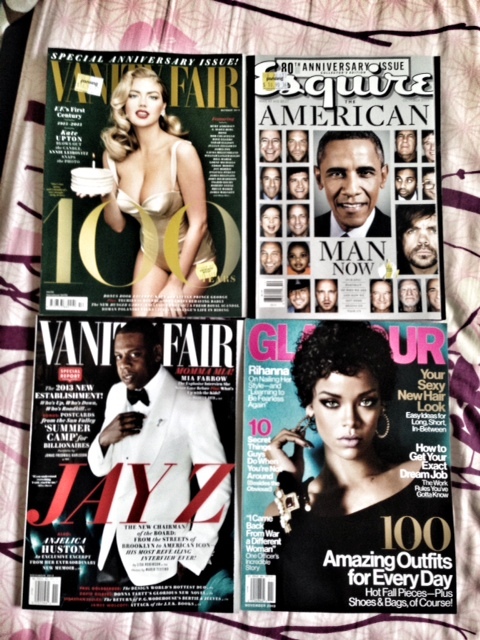 These are the magazines that I would (still!) want to work for, given half the chance. Vanity Fair: In this magazine, gossip and serious issues all get the same level of in-depth reportage. The result? A very engrossing read. I bought both the October and November 2013 issues, because I always try to buy the special issues and the October issue is the magazine’s 100th while the November issue has Maureen Orth’s interview with Mia Farrow about Woody Allen, among others. Explosive stuff! Esquire October 2013: This is the magazine’s 80th issue. 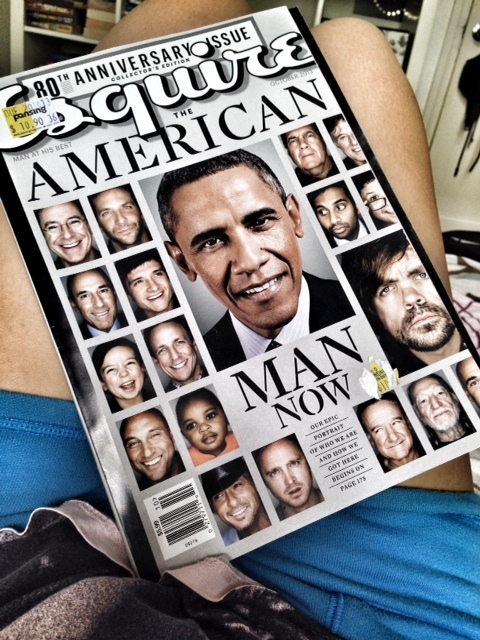 Esquire has always been one of my go-to magazines for great writing and this issue does not disappoint. Glamour: I always buy this magazine. For me, it contains the best balance of fashion, beauty, advocacy and serious reportage that’s possible in a fashion lifestyle magazine. Of course, I don’t know how long the formula will remain the same. Rumor has it that Anna Wintour is eyeing a revamp of the magazine. I hope it’s not true because I like what Cindy Lieve has done to Glamour and no disrespect to La Wintour, she’s going to make a Vogue clone out of it once she’s done. Whenever friends and family come for a visit to Singapore, inevitably, one of the first questions I get asked is: Where do we go? The answer, of course, is: It depends on what you want to do. Those with kids usually end up going to the kid-centric attractions: The Singapore Zoo, Night Safari, River Safari and aquarium (this is new) and maybe around the Marina Bay area for some (lots of!) picture-taking. That usually takes care of one weekend. For those who like exploring, then I usually recommend the cultural enclaves and work our way from there. So because I get asked so often, here are the areas I usually take friends to. Fashion regularly shocks me in all sorts of small and large ways. I am dumbfounded by the practically immoral prices of handbags and shoes. But the design of a pair of towering armadillo heels? Eh. I am appalled by the inability of so many designers to recognize the moral responsibility that comes with visually defining class, power, and femininity. I don’t understand why, in an increasingly global business, fashion doesn’t take a more activist stance on labor laws and fair wage issues. I love this article. In all my years as a magazine writer and editor, I’ve only written about fashion peripherally, and certainly not as incisively as Robin Givhan. See, kids? This is what fashion journalism is all about! 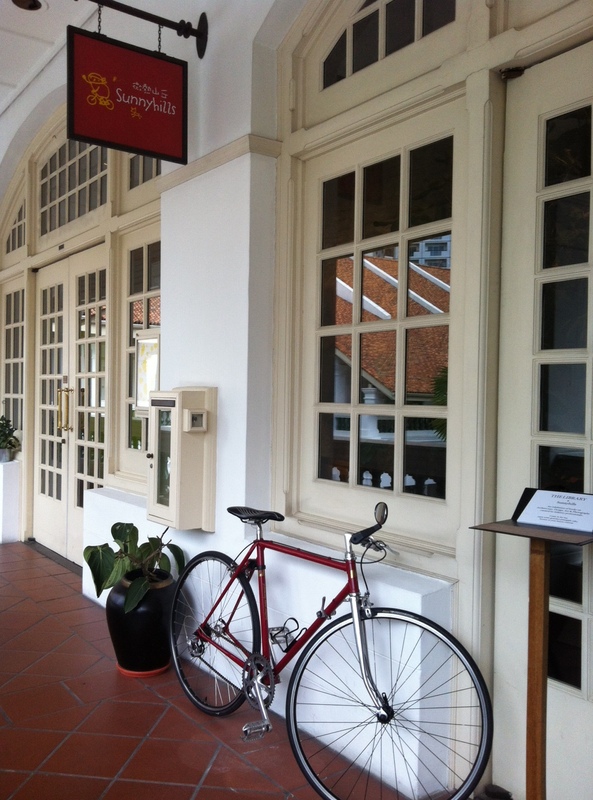 In Singapore, the new, newfangled, cutting edge, modern has always been embraced. But lately, there has been a resurgence of appreciation for the past, maybe because it’s natural to look back while moving forward, which could probably explain the crop of vintage shops that has been sprouting across the metro lately. Inspired by this, alphabeticalife and I decided to check out two vintage furniture shops in the McPherson area two Saturdays ago. Weekends, while always welcome, can get repetitive. There’s only so much coffee one can drink at a cafe or food to scarf down at brunch. And malls? The goal is to find something amusing to do without having ever to spend it at a mall. Just to round out the expedition, we decided to check out the new popup design and architecture library that opened in Raffles Hotel Arcade. We would make that the first stop to what we had dubbed Design Saturday. Coincidentally, the Design Society Festival 2013 was running at the same time. The Saturday we went on our expedition, March 9, was the last day. It seemed fitting that we would be doing our own design-themed gallivanting that day. Dish About Design, an architect and editor, and more importantly, someone who is always up for gadding about was roped in. Her contribution to the day: Two contemporary design shops that had showrooms in the area. The Library is a free reference library dedicated to architecture, design and photography. Currently existing as a series of popup locations across Singapore, the current incarnation is located on the third floor of Raffles Hotel Arcade, and temporarily shares the space — until 31 May — of Taiwanese pastry makers SunnyHills. Housed in one cheerful location, The Library has more than 500 books curated by leading industry professionals in the creative fields. Photographer Jing Quek of SUPER Studio was on hand when we visited. 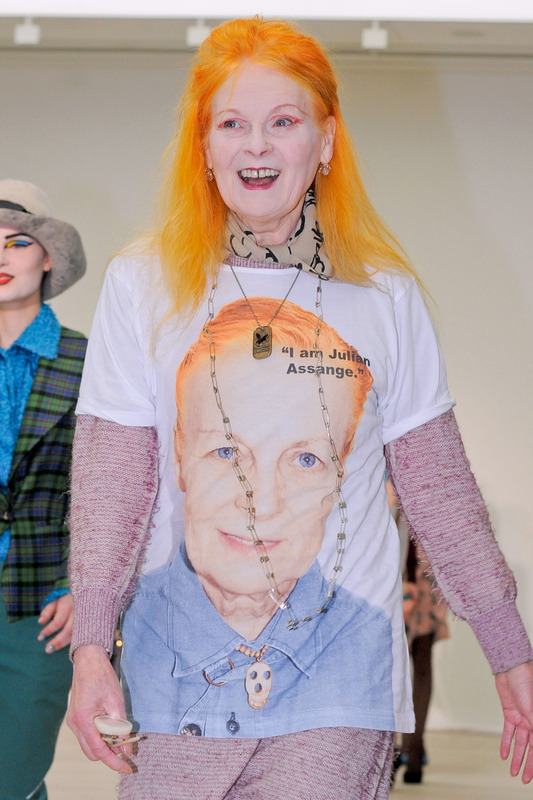 fashion designer Vivienne Westwood, during an interview at London Fashion Week. Full article here. 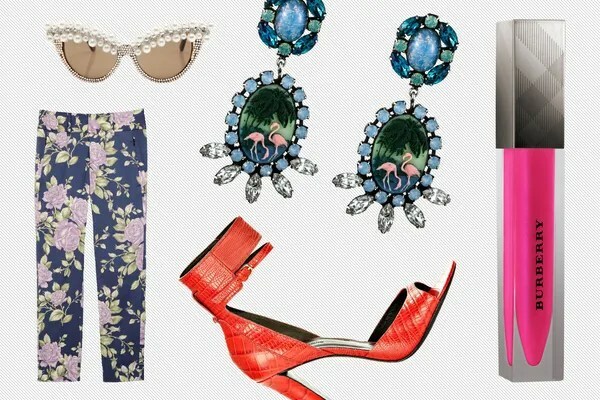 Format LinkPosted on January 15, 2013 Categories UncategorizedTags fashion, style resolutions 2013Leave a comment on In a style rut? I wish I could draw like this. I wish I could draw.